Self evaluation is one of the most important thing which helps an individual to analyze his/her self to improve and become a better person. But, as you all know, evaluating yourself is more difficult than evaluating others (which we do most of the time). I took this challenge a year ago. I have a habit of reading self-help articles and books whenever I get time. So that I can find somewhere something that just clicks my mind and helps me become more productive and better person. There are tons of things available online and in the books. But, after reading a lot, spending some time daily at the end of the day, about analyzing your day, has caught my mind and I decided to give it a try. Now, the question was, how to do it. I am not a guy who will keep a diary and write it down at the end of the day what has happened today. Some online surfing and discussing with one of my friends, I came up with a few questions, that I can ask my self daily at the end of the day to evaluate my self for the day. 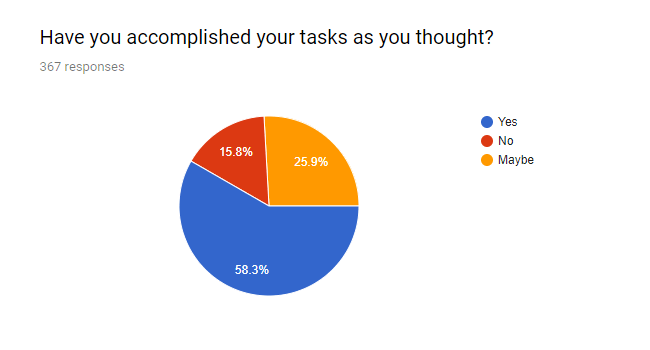 With those questions, I created a Google Form with multiple choice and write it down questions. Now, another big hurdle. How do I remind myself at the end of the day, that I have to fill that form. I created an applet in IFTTT which sends me a notification at my usual bed time, with the link, so that I can simply click on the notification which opens the form, I fill it and submit, Done! I was all set to go. Last year, on Nov 6 2016, I started using my setup system for daily self evaluation. With a one or two days missing it in a month, I completed a year (365 entries) 2 days back, on 10 Dec 2017. Filling up that form, just remind me of the whole day in glance. From the morning to the night. Even though, I don’t have time to fill all the entries, but filling the multiple choice questions reminds me of the whole day and prepares me for the next day. I realized that, without filling it previously, I didn’t even knew how my day went. 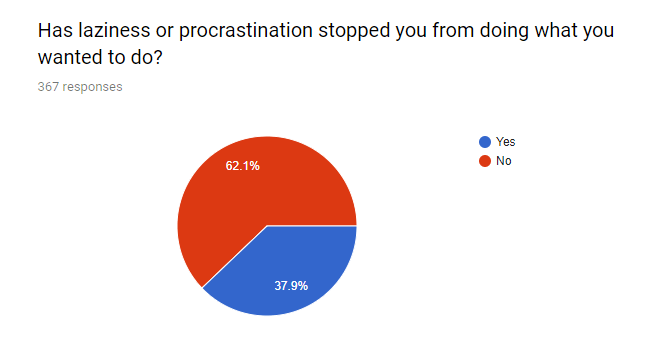 It was pretty impressive, satisfactory and helped me to overcome my procrastination habits. Which Questions to ask yourself? Waking up happily is very important because it defines your day. Waking up lazy makes the whole day lazy. Making mornings happy and exciting was the goal for me. It’s where the day starts. The positives in the morning makes the whole day better. And here I am with my results. Here, the results helped me understand where I need to improve. 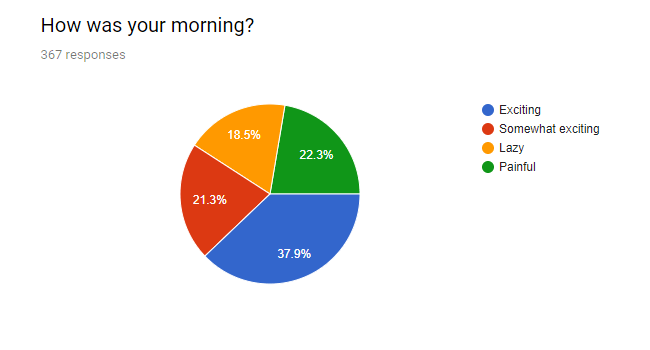 ~40% of my mornings are falling in the bottom zone and I need to improve there. This is where I need to work, I know that now by self-evaluation. Have you accomplished your tasks as you thought? Completing our tasks on daily basic effectivity is what most of us want to achieve each day. Asking it at the end of the day, makes you analyze how productive you were today. Did you completed the tasks as per your expectation with your self or you failed at your own expectation. 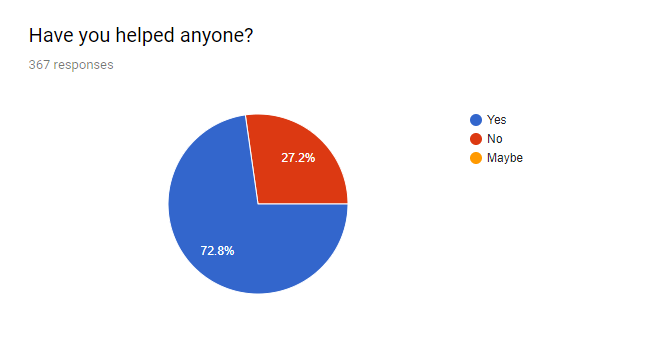 My results showed, It was good but can be better. 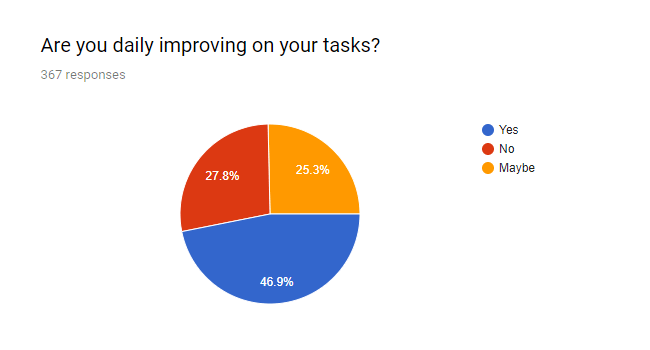 Are you daily improving on your tasks? Improving is what matters. Knowing how you were yesterday and improving on it, is important. This question makes me think, Did I improve than what I was yesterday? The answer helps me motivate myself for doing things better tomorrow and understand my mistakes from today. Has laziness or procrastination stopped you from doing what you wanted to do? Procrastination - putting things off or delaying makes us less productive. This habit can make a huge difference on your productivity. The TED Talk on Inside the mind of a master procrastinator by Tim Urban is one of my favorite TED Talk. It introduced me to my habit of procrastination and helping myself overcoming it. So, asking this question helps me analyze where I procrastinated today and not to do it tomorrow. Helping others makes me happy. From the greatest (life-changing) book by Robin Sharma, The monk who sold his ferrari, I learned a great topic. Helping selflessly others is one of the contribution you give it to this great world. Help whenever wherever possible. “Practice daily acts of kindness” is what it says. The mention of the quote by Mahatma Gandhi “Be the change you want to see” catches my eyes. Be what you want people to be. You want a great kind, caring, helping world? Be the one your self and it will make the difference. My target is to reach 100% Yes. 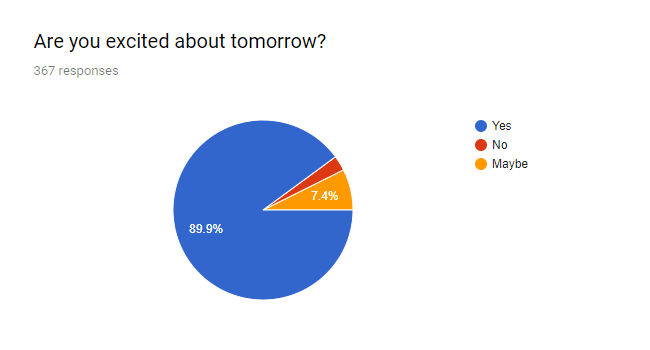 After all the questions, comes the next question, Are you excited about tomorrow? The answer to this question gives me thoughts on, how happy I was today with my day. If I did what I wanted to, made my day productive by completing my tasks, overcame procrastination, helped others, then I am happy and will be excited about tomorrow to do it again to keep improving myself. How did you feel when you helped someone? What made you step back from doing things you wanted to do? What is the greatest thing you did today? What was the most important moment from today? 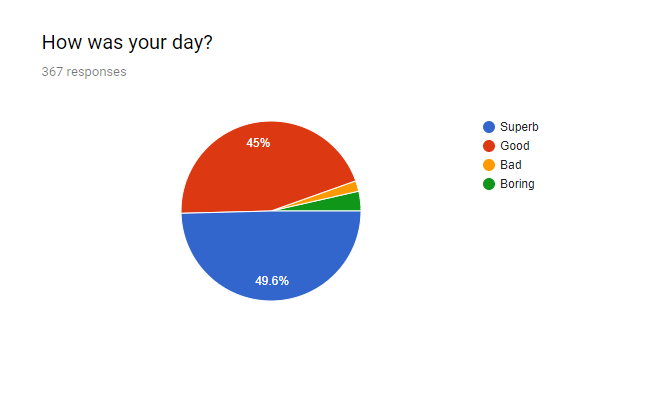 How much do you feel you improved from yesterday? Have you tried to overcome your anger today? There can be many. Do share some of your interesting questions to ask your self, with me in the comments. If helps you make a clear picture of your day before sleeping. So that you can know what was right and what was wrong today and improve your self tomorrow. This type of questions and their results can pinpoint the areas where you need to improve. Trust me, this is super useful when you do this daily. Sometimes, (many times) I filled this in a hurry, but those questions made a clear picture of the day and helps me improve myself by identifying the areas of improvement. This exercise helped me a lot, and may help you also. Make a resolution this new year to work on your self and make your self better, each day. Become a better person than what you were yesterday. Self-evaluate your self on daily basis and “Be the change you want to see”.